Guests will be taken through the Africa Reserves section, Lion Park and Jungle Reserve in one of the special off road safari vehicles, to get up close to many of the amazing animals. Your experienced ranger guide will provide an in-depth commentary about the animals you visit, including names, character and personalities. Your tour now includes a look behind the scenes to one of the park’s new animal houses. Take an exclusive tour of the animal houses where you can learn about animal care, breeding programs, conservation and the animals’ special dietary needs. Your tour concludes in Animal Encounters where you will get hands on with the adorable lemurs or meet the meerkats in Desert Springs. Prices are valid until 31st October 2019. Children under 12 will be provided with a booster seat to ensure secure travel in our Land Rovers.  You can book your VIP Experience online. If you can't find the experience or date you want. Please call the VIP Experiences team on 01525 290991.